A 26-year-old woman dubbed the “Pakistan Kim Kardashian” for her many social media postings of herself in sultry poses, was strangled to death by her brother, who told police and press conference attendees he carried out the honor killing to protect his family’s name and reputation. 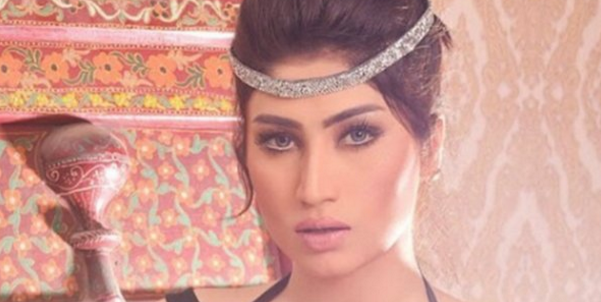 The woman, born Fouzia Azeem, went by the Instagram and Facebook celebrity name of Qandeel Baloch and also advocated for women’s rights in Pakistan. “Yes of course I strangled her,” said Muhammad Wasim, to reporters during a press conference after his arrest, the Daily Beast reported. He then described how he allegedly committed the crime, beginning with feeding her a sleeping pill and waiting until she fell asleep. “She was on the ground floor while our parents were asleep on the roof top,” he said, citing her “intolerable behavior” as the motivating force and decrying how her many media postings were bringing “dishonor” on the family. And he wasn’t the least bit contrite. “I am not embarrassed at all over what I did,” Wasim said, the Daily Beast reported. Baloch’s photos, posted on the Internet – and followed by thousands – are tame compared to Western standards. While the real Kim Kardashian might post nudes of herself, Baloch was fully dressed, even wearing full-length pants and a black top in one. But in Muslim-dominated Pakistan, where Shariah law adherents have been trying to block legislation that would protect women from violence, the photos were racy enough to warrant outrage. As the Daily Beast reported, the nation’s Human Rights Commission has recorded almost 1,000 so-called honor killings and crimes against women in the last year alone. In September, for instance, a man in Sargodha shot and killed two of his sisters for displaying what he deemed “bad character,” the news outlet reported, citing Human Rights Commission findings. And in that same time period, another man shot and killed three of his cousins in the Punjab province for the same “honor” reasons. Outraged social media followers posted angry comments beneath Baloch’s photos on Facebook, saying her poses were too risque for a proper woman to adopt. “What’s ur goal? U want to [be] most insulted person in the world?” wrote one. Baloch was more than a social media celebrity, however. She also spoke out strongly for women’s rights and against Pakistan’s patriarchal system, referring to herself as a “one-woman army,” the Daily Beast reported.